Today we are excited to announce the availability of the Kubernetes Service in Mexico City, Mexico. In a rapidly changing world where cross-border business has become the norm, you can respect nation-state regulatory sovereignty and, at the same time, leverage the benefits of workloads hosted in the public cloud. No matter what your application does today, your ability to innovate quickly is key. With the addition of this latest data center within Mexico, your developers have access to innovative services, such as IBM Personality Insights, while also feeling confident about their app’s availability. A complete list of supported data centers can be found in our docs. Today, we are excited to announce the availability of the Kubernetes Service in Mexico City, Mexico. 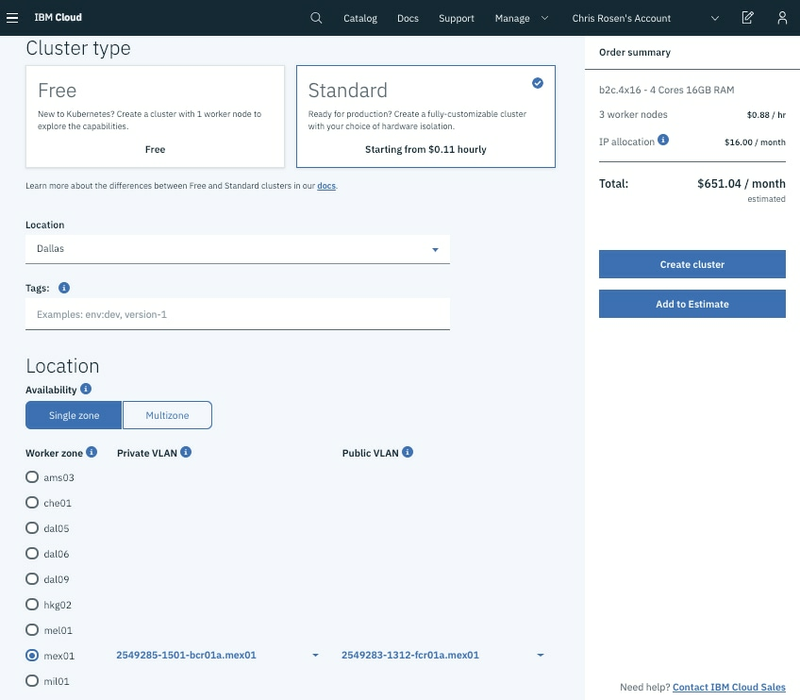 After you’ve created your IBM Cloud account, our tutorials guide you through deploying your first cluster in IBM Cloud Kubernetes Service and your first sample applications.